I'm just serious about getting a flash ,looking at my 8.7 flow it has a very similar rocker ,as Bert calls it a banana shape rocker . looking at the 9.0 .i think it would be great for bigger waves . can anyone comment on this board if you own one ,? any feed back appreciated ..no can demo. cheers slugga..i did see that nice . looking at the bigger sizes ..as I'm not the best on boards under 120 ..and under 30 1\4 my 8'7 flow .looking for a big wave stick . whats it surf like ? I'm interested here as well, particularly as a crossover between the two boards. Its seems to me from reading and researching that the Flash is a refinement of the flow, geared more towards good waves, but is still an all round board versus say the Acid or Insane, which are super specific. My question is why would you have the flow over the flash if you were to have only 1 or the other , or vice versa? Slugga I'm curious that if you had both why you didn't keep the flash over the flow. I am currently deciding whether to buy the 8'10 flow or the 9'0 flash as my everyday board. I surf primarily beachies between say waist and head and a bit high, and have a groveller for the small days. i have the 8'10 flow ...its not a bad all rounder ..but find it hard to sit in the pocket.due to the quite wide tail . it is better suited to fuller waves i feel . I think it will out surf the flow.looser and thinned out rail so you can lay it right over. Seem i have a 8'7 flow ,a keeper, i might add ,i need a more radical bigger board but still want to have 130 litres for big days .and crap days . i just took a punt today .9,0 .
i will let slugga tell you his storey ...i think he's a twin fin dude now . 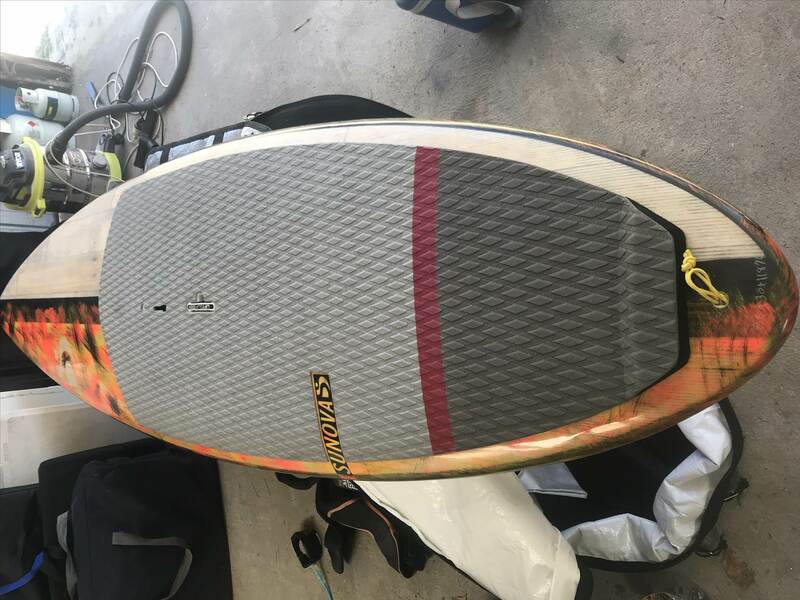 had a 8'7" flow for past year really liked the board .have had my 8'6" flash for a month now and is a way better board .faster .smother through the turns .way more grip .seems to have more rocker than the flow ..im 95kg so board is a bit more tippy but that might be to do with 9 litres less .only had one day on it in 5ft day + but seems very happy to be out there .were I found the flow to be good but bit skidish as a thruster in bigger surf.flash seem to be not as good as flow in 1to 2ft surf .but way better 3ft +.. Thanks guys great feed back. I'm 95kg too but for me at the moment 130L is my sweet spot so the 8'10 flow or 9'0 flash is where its at. I know if I went the 8'7 flow or 8'9 flash Id be OK most of the time but prob too much hard work for what I'm after. I think ill go with the Flash. I can always bust out the surfwide for the smaller stuff if I need to. i agree with you about the flow being better in smaller waves . Picking up my 9'0 tonight ! Sweet ,mines 20 days away. I think it will a 9 ripper and surf smaller than what it is ...i like that you can ride it as a quad too.. I demoed the 8'7 flow and was about to part dollars when the flash came out. I had one reservation about the flow and that was that it was slow to get going when on a wall, making it hard to make sections. 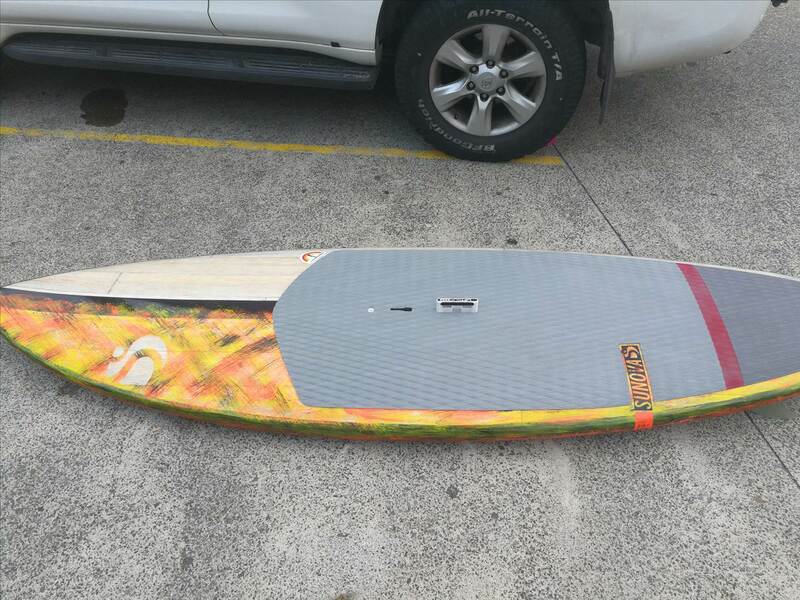 I opted for the 8'9 flash and am pleased to say it's an awesome board. In small waves it handle very much like the flow, but you are able to trim and pick up extra speed when needed (the flow reaches a point where it doesn't seem to want to accelerate). On bigger waves (of which I really want more to fully test it), it's acceleration is incredible. I've had to adjust my surfing style in bigger waves and position myself much further forward on the board, lean forward and ride it more from the middle rather that from the tail as is was getting thrown of the back when it accelerated out from under me. It literally felt like someone was yanking the board from under me it was so sudden. In terms of stability, I think there is very little difference between the 8'7 flow and the 8'9 flash, but the flash just does everything else that much better than the flow. 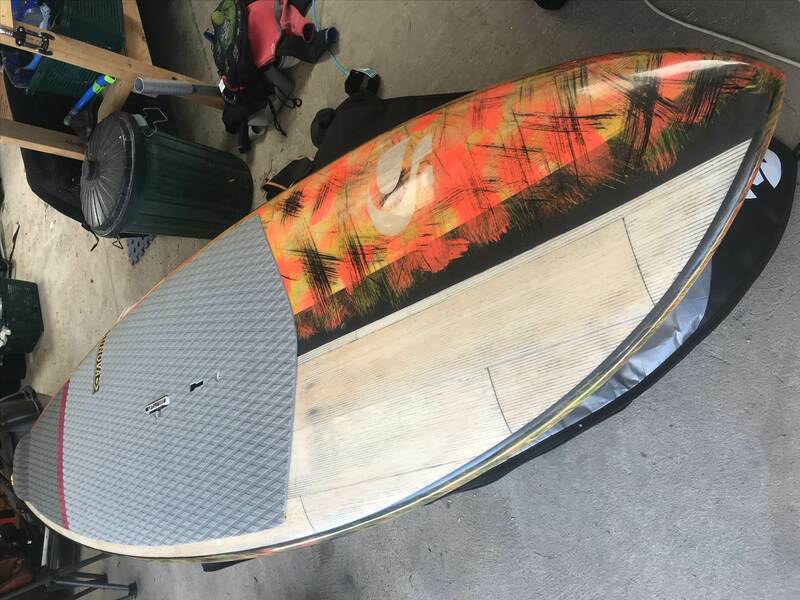 If I had to make one criticism of the 8'9 flash, it's that the board could probably loose a tiny bit of thickness, flattening out the rolled deck a little in the middle, dropping a few litres to around 119l and still be an amazing board, but I'm really splitting hairs here. Funny you say that about your one criticism I had my flash shaped to a 8'8 and pulled some of the thickness so it's 118 liters. If nothing else these boards are something akin to a work of art. Has anyone spent any time on a Flash and Acid? What does the Flash have over the Acid? I currently ride an 8'2" Speeed at 104L. If junky, I still have a custom PSH 109' x 281/4 x 41/4 (i don't know the volume). I am 5'10", 170 lbs (77kg's). Considering a Flash as well. 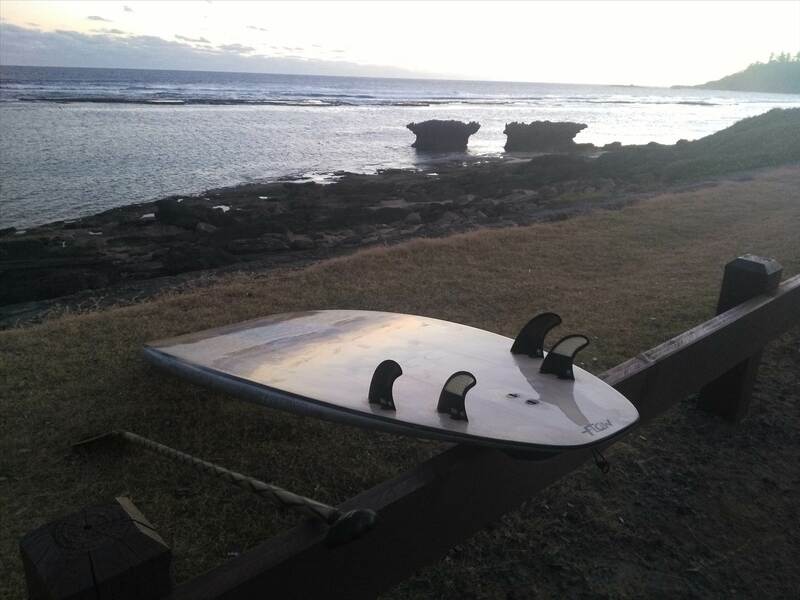 I went on a trip and surfed a 8'0" Surftech quad at 95L and I did well in calm conditions. Perspective from anyone appreciated on sizes to consider for my go to board in good conditions. 2 surfs in and I am very happy. For reference I am 6'4 and 95Kg naked. I consider myself an average intermediate, and have been SUPPING for around 12 months, but do come from a prone surfing background. Previous boards I can compare to are an 8'8 Surfwide and a custom 8'6 x 30.5, 9'4 Fanatic and a couple of other demos such as an 8'10 speeed. 1st session yesterday was very bumpy with a decent 2ft underlying swell. This morning was picture perfect 2-3 foot beachies. 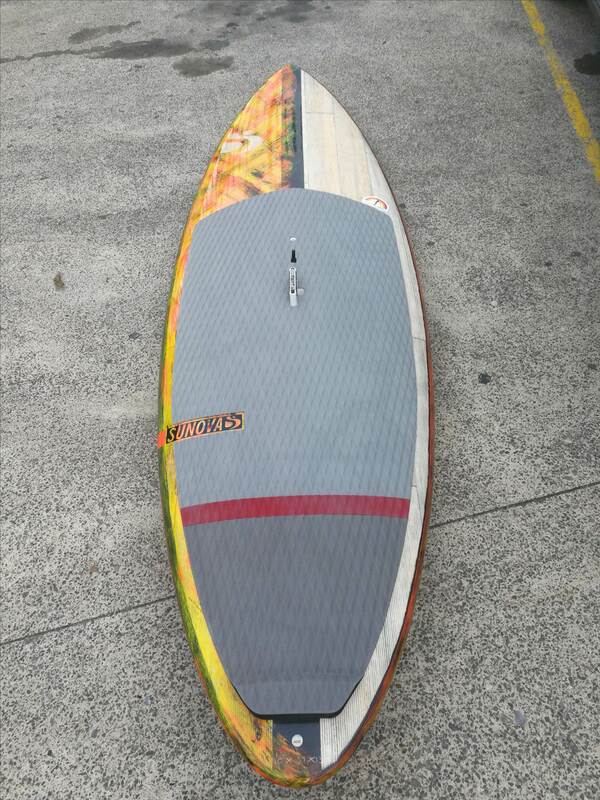 Board is the 9'0, set up as quad with the supplied fins -105 front, 94 back. Stability - excellent. Managed fine yesterday in the bumps, and this morning was a pleasure. Wave catching ability - again excellent. I paddled up and down the beach, took some late drops on purpose and had a go in a sucky section, all good, very easy. Nicer early entry on the waves I went for properly. Stable and confident. I do agree with what someone said that it does accelerate very quickly - took me a few waves to get it and it definitely got away from me on a few! Turning - awesome. So easy to turn and change direction. Putting on a rail was easy, even right at take off to stay high on the wave. the board just did what I wanted. This is the most surfboard like SUP I have ridden, if that makes sense. I think the key word is control. Foot positioning - provided my front foot is behind the handle board turns nicely. It was great to not have to try and search for the back of a board to get it turn. The board has loads of drive and just did exactly what I was trying to each time. Nice and loose, but not out of control loose like my Surfwide. Probably the only thing that is a minor negative it takes a bit of work to spin the board to take off, but as I have been riding shorter boards it will just be a technique adjustment on my part. I have definitely made the right choice (even though I didnt ride an 8'10 flow). 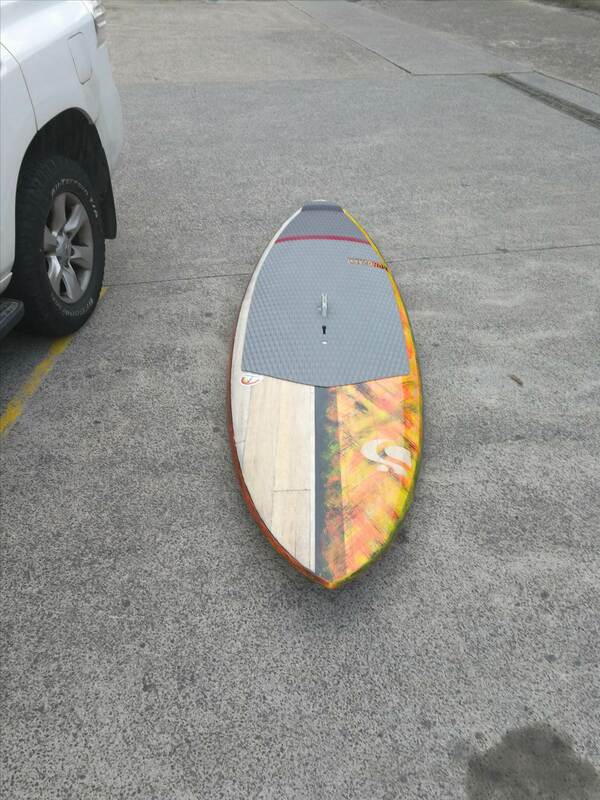 Look forward to getting it in bigger surf, I have no doubt it will perform exemplary. When I was younger I went through a lot of boards until I bought a Jim banks 6'2 x 20 keel fin, which I then rode primarily for the next 5 years and i still have (12 years later). I get the same feeling from this board. Great review...I. "m getting excited.you have big fins on.I use these on my flow.7 front 2 or3 rear depending on size of waves.I'm sure this will solve the spinning around problem as well as loosen it up some more or 9-4 front and single rear.i haven't got mine yet but feel I've made the right choice ...was going to go for a creek ,but change last minute ,i wanted a round pin .tail with quad set up . sorry i ment that the acid was more responsive than the flash. but flash more than the flow. Have been hearing good things about the Smik hipster twin. Curious how you would compare the 8,3 hipster to the 8,10 flow paddling and stability wise. Sounds like they are much more maneuverable. Any feedback appreciated as seriously considering a Smik. I took the Flash out in the first good conditions I've been able to get out in since getting it. Surf was 2-3ft with the odd 4ft sets thrown in. Light cross offshore wind and despite it being 33 out of the water, the summer crowds are thinning out at last. The waves were holding up nicely and there were some nice walls. At one point a large pod of dolphins joined in the fun on a few waves. The only thing that could have made it more magical would have been a unicorn galloping along the beach farting rainbows. If I was to think of my top 10 waves I've had since I starting on a sup 8 years ago, half a dozen of them would have been on the Flash yesterday. Take off was effortless. It was supper smooth and easy to link bottom and top turns. I was able to pump the board on the wall to accelerate and make sections I would never have made previously. I have to say I am really happy with the flash. Thanks AA for talking me into the flash over the flow and thanks BB for making such a great board. great to hear mbuzz....about the board ..i like rainbows too. you are right about the 8,7 flow, speed ..its on the tail jamming it ,thats what it likes ..i still love it in 3-4 foot waves . rocker than my 8,10 ,130 flow .i can't wait to compare them ..i will report soon ...in 12 days time . but it sounds like a great choice . are you using it as a thruster or quad. Currently using a thruster but I hit a couple of top turns at speed without the rails fully engaged and felt like the tail was sliding sideways. Would be keen to try a quad setup in similar conditions and see how it goes. There was a point where I considered coming in and swapping fins but was having too much fun and didn't want to disturb the unicorns on the beach. Great review mbuzz! Curious to know about the previous boards you have owned.